After six months of highly competitive racing around the best of British race tracks plus their annual excursion abroad, the 2018 British GT Championship finally came to a conclusion on Sunday with Aston Martin Racing customer team's and drivers standing tall having claimed four Championship titles at an unsurprisingly eventful 'Donington Decider'. 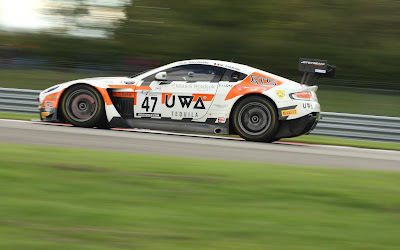 Optimum Motorsport's Flick Haigh and Jonny Adam completed what they needed to do to secure their place in the Championship's history books with a fourth place finish at the end of the final round's two hour race - enough to win them the overall Championship despite the best efforts of the Barwell and TF Sport rivals who both finished in front of them. 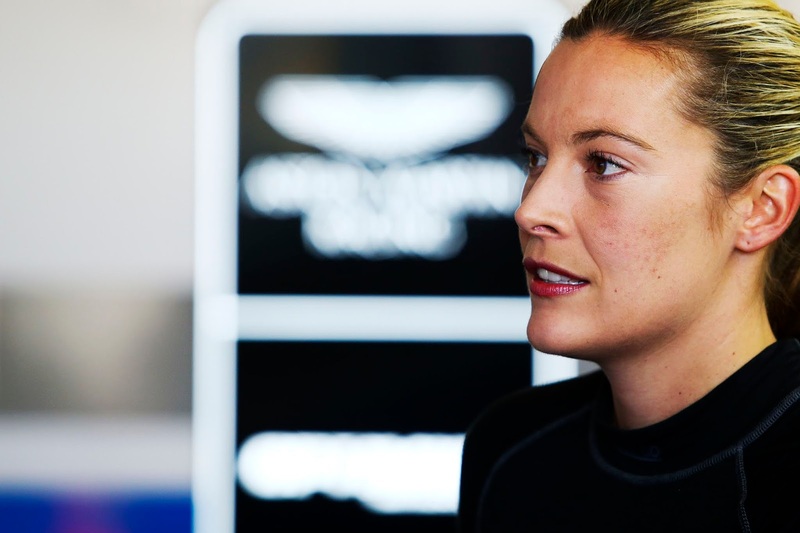 That result also earned Haigh the honour of being the first woman driver to win the overall championship as well as the her previous accolades of being first woman driver to qualify on pole in her own right followed by being the first woman to win the GT3 class race - all achievements that she earned first time out at Oulton Park back in early April and despite treacherous track conditions. Aston Martin Racing placed co-driver Jonny Adam also earned himself a further entry into his on- going chapter of the Championship by winning his third GT3 crown. Team Boss Shaun Goff was beyond words as he tried to convey his utmost admiration and respect for his new race pairing that had started on such 'shaky ground' as Haigh nervously first tested her new Vantage GT3 with Adam at a cold and damp Snetterton back in January through to the guts and determination of a driver who was no longer afraid to 'mix it' with more seasoned racers at even the all deciding final round at the weekend! That is not only great credit to the character of the pupil who was willing to learn and develop but also absolute credit to the tutor who has now coached some three amateur drivers to the same prize. By virtue of Sunday's results Haigh and Adam also claim the 2018 Pro-Am Championship and Haigh the Blancpain Trophy each time just ahead of Barwell's Jon Minshaw and Phil Keen who, for a third time narrowly miss out on the big prize! 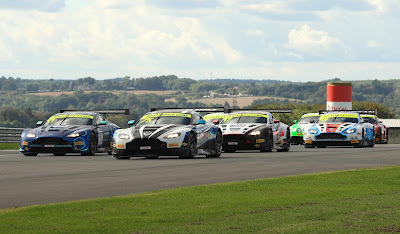 The only GT3 Championship that either Haigh, Adam and Optimum didn't win was the GT3 Team Championship as that award went to fellow AMR Customer team, TF Sport who themselves finished just nine points ahead of the Barwell team thanks to a stellar drive from the #11 car of Mark Farmer and Nicki Thiim to finish P2 at Donington after a time penalty had been applied for track limits - they had actually crossed the line first! With TF Sport, Sunday's race was also the end of an era as Derek Johnston hung up his race suit for the (query) final time however sadly with a bitter taste after having been hit from behind with some force by the #1 Team Parker Racing Bentley sustaining terminal damage to the cars gearbox and forcing a much premature end to his tenure in the British GT paddock. 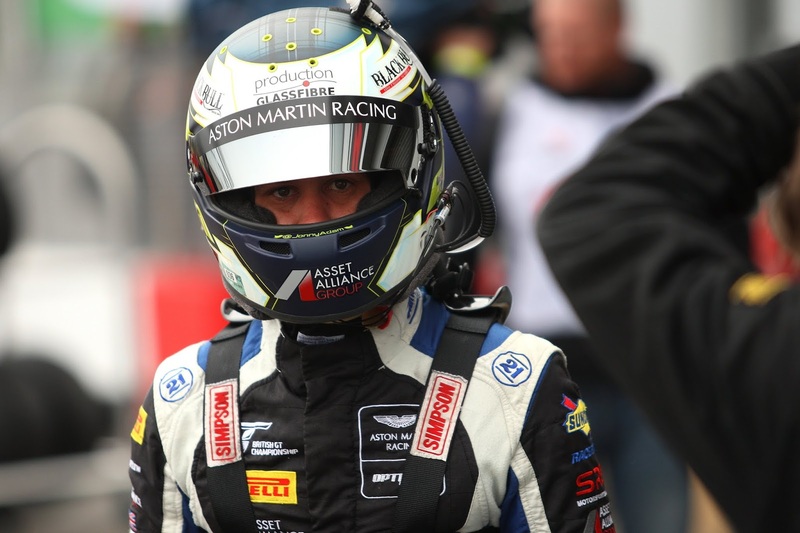 Also as a result of that we didn't get to see Marco Sorensen perform his swan song stint in the car either! 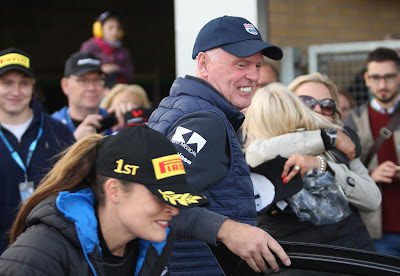 When we (and we know others noticed too) shook Johnston's hand and thanked him for the time, efforts and service to the sport, we saw a slight welling up in his eye's with a ' I only raced a car' as he made a polite exit to the throng that was his family and friends in the TF garage. 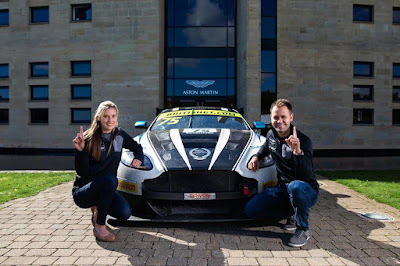 Somehow - we don't think that it will be too long before he is back in a car somewhere - maybe a selective round return to the Championship maybe but anyway, Johnston will take his car home with him as a keep sake to his AMR/BGT adventures that after all landed him the GT3 Championship title back in 2016. 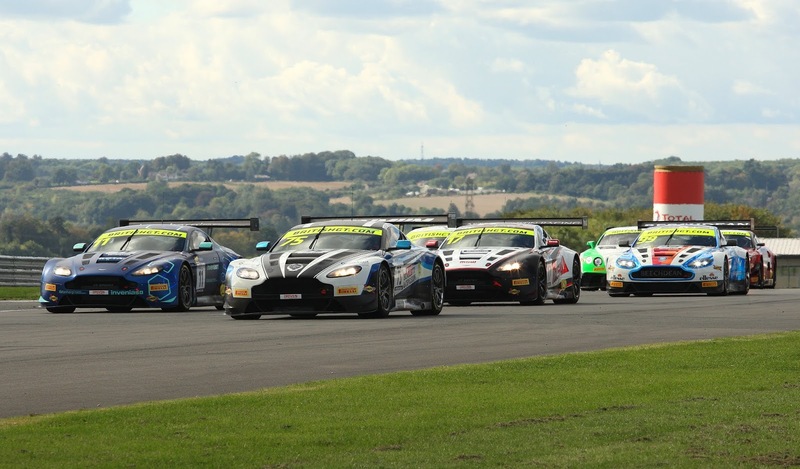 Both Optimum and TF Sport have already been confirmed as the earlier precipitants of two examples each of the new GT3 and GT4 platforms apiece that we hope the teams will reveal details of in good time. The final Championship winning performance from the weekend came from someone not directly competing within an AMR car but someone who is very much 'up and coming' with the factory team as Jack Mitchell secured a solo Championship win in his Century Motorsport BMW M4. Formally with MacMillan AMR, Mitchell is also presently leading the China GT GT4 Championship in the #618 China Equity AMR entry that he did share with Ryan Liu as that series enters its final two events of the season with a street circuit format coming next up in just two weeks time. 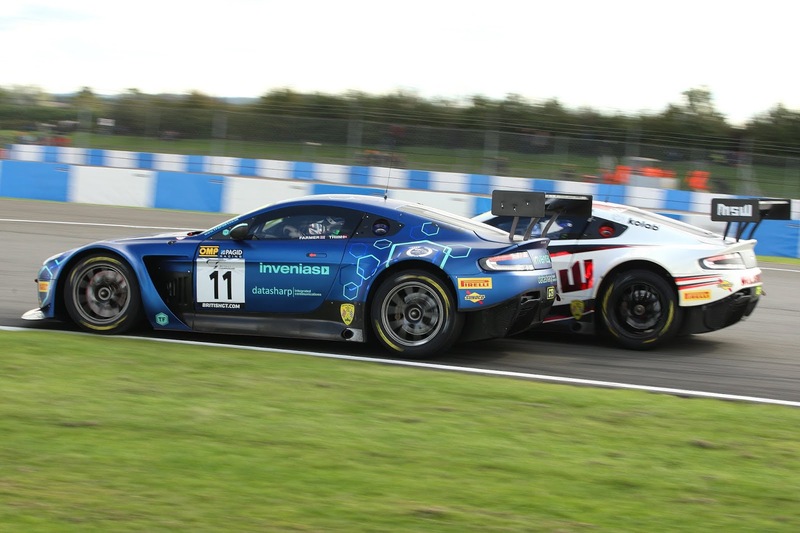 For the rest of the Aston Martin Racing customer team contingent, Donington proved to be just as bruising and 'character building' as any previous round of the championship if you believe that rubbing is racing! Jetstream Motorsport found that the only way past the 'blocking' Barwell Lamborghini was the hard way with a last minute and very elbows out move on the #69 car at the Melbourne hairpin before slipping off the circuit on someone else's oil at turn 1 before returning to the track under the Safety Car for some more panel bashing from others. 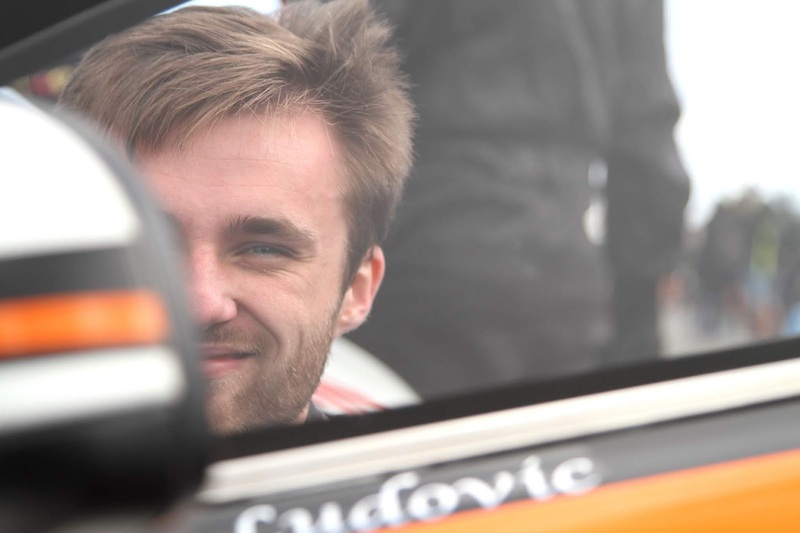 Drivers Graham Davidson and Maxime Martin would finish the race P11 and the championship in P7 so for their somewhat last minute confirmation into the Championship having never driven the car or having even met each other - that is some achievement that they should all be proud of. They did win the Spa round after all! 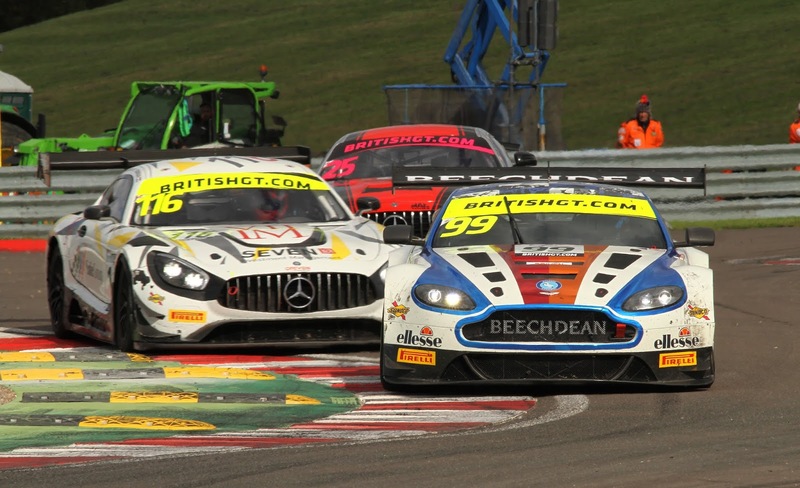 For Beechdean AMR, their earlier good start to their return to the domestic GT scene had been hampered by some mid season misfortune so were hoping to round the year off on a high. As a result of Darren Turner's off track excursion during Qualifying, the #99 car that he shares with team boss Andrew Howard started lower down the starting grid than they had first hoped but they still found themselves as being one of the many stuck behind the intentionally slowly Lamborghini. 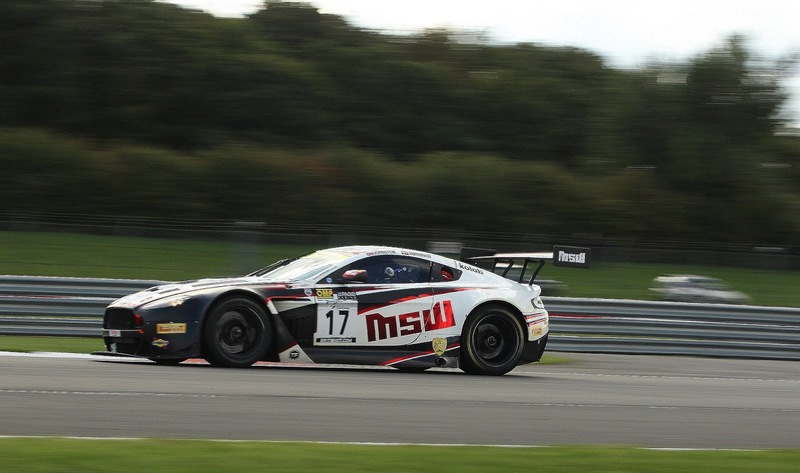 Despite some very competitive wheel to wheel racing in the opening stages, contact with the Nissan spun both cars around loosing them both a substantial amount of time before both were able to return to the track. 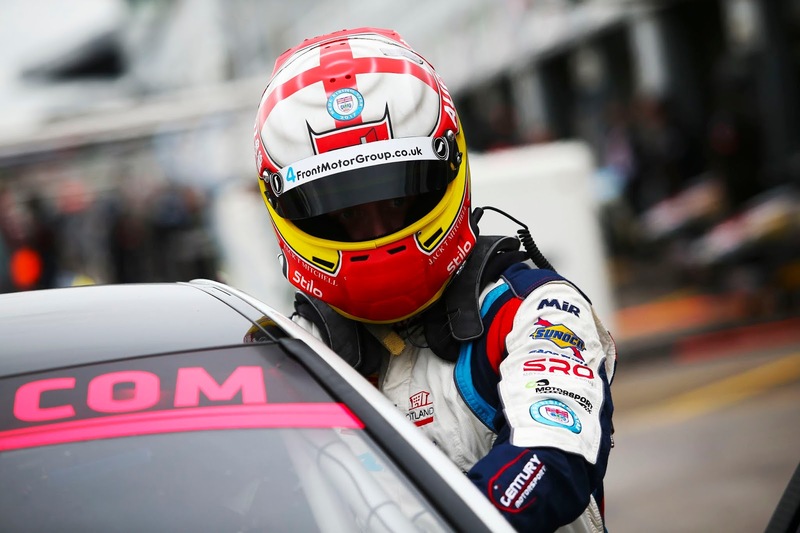 After the pitstop it was the turn of Turner to come to the attention of the race officials for track limits earning himself a drive through penalty although he was later able to redeem himself with a multiple overtake to claim the cars finishing position of P5 - the position they also finished in the Championship. We await for news of a 2019 campaign. 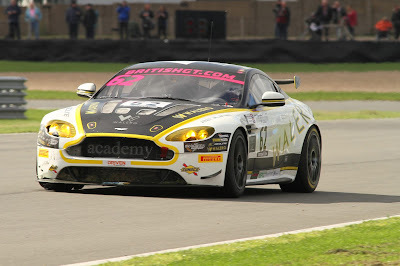 The biggest heartache sadly befell the Academy Motorsport crew again and their two V8 Vantage GT4 entries of Will Moore/Matt Nichol-Jones and Jan Jonck/Tom Wood. Having started side by side on the grid and having earlier 'hijacked' the display of the new AMR Vantage GT4, Donington would again be cruel to the them all. 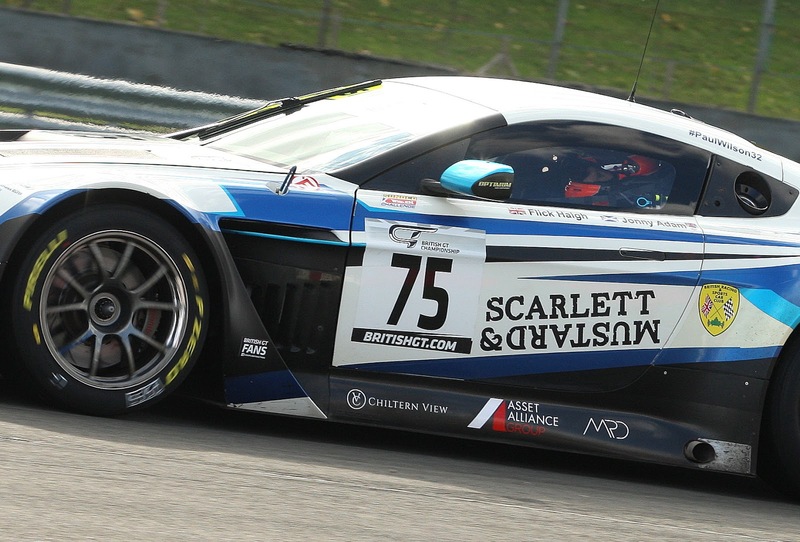 With the shenanigans of the opening lap, the #61 Moore car became embroiled in early contacts within the GT4 field that would leave several cars damaged dropping him down the order whilst local boy Tom Wood would benefit from that to find himself running up to third in class by the time of the Safety Car that was later called for the oil at turn 1. Just before the restart however, the #62 Wood car would suffer a puncture, albeit very close to the pit lane but enough to drop them out of contention. 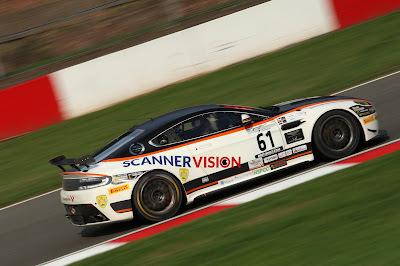 That bad luck was quickly followed by disaster for the team as the #61 disappeared from the timing screen after apparently suffering engine failure going downteh Craner Curves marking the disappointing end of the season to Moore's/Nichol-Jones' intermittent season. 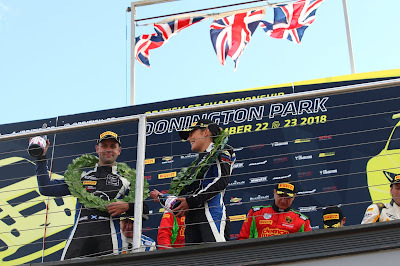 For the other car, Donington would typify their own season of bad luck and misfortune (mostly not of their own making it has to be said) to finish down in P25 - some three laps down to the winning GT4. All in all 2018 has been a year that Aston Martin Racing could easily showcase as the inaugeral year for their V12 Vantage GT3, claiming multiple podium finsihes throughout the year both in GT3 and GT4. 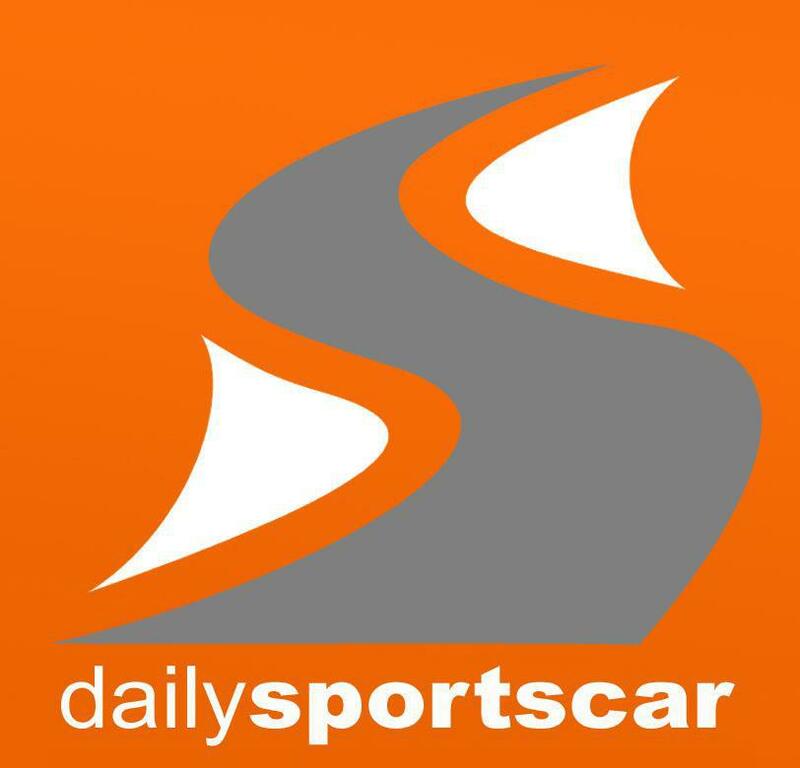 Some teams have already confirmed their acquirement of the new turbo charged car with many more waiting to do similar. With many national and European seasons now at an end we will have to await the timely announcements of such new race programmes as and when the teams see fit!